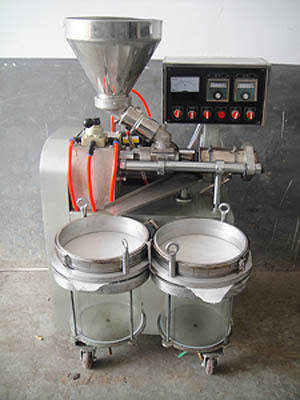 In order to get the edible sesame oil , sesame oil production unit is necessary for the user . If you want to set up a sesame oil production mill , our sesame oil production unit is your best choice , for KMEC is a professional company that occupied in the sesame oil production unit and other oil processing business since 1990. We specialized in designing, installing and exporting of a variety of oil production unit. We also offer complete set of sesame oil production line. 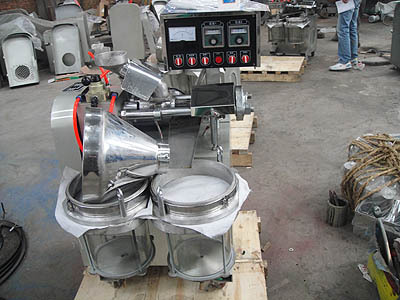 In developing countries, sesame oil is often extracted with less-expensive and manually intensive techniques such as hot water flotation, bridge presses, ram presses, the ghani process, or by using a small-scale expeller. 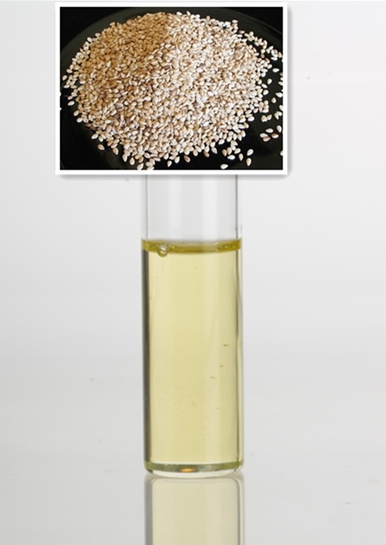 In developed countries sesame oil is often extracted using an expeller press, larger-scale oil extraction machines, or by pressing followed by chemical solvent extraction.Sesame oil can also be extracted under low-temperature conditions using an expeller press in a process called cold pressing. This extraction method is popular among raw food adherents because it avoids exposing the oil to chemical solvents or high temperatures during extraction. While some manufacturers will further refine sesame oil through solvent extraction, neutralization and bleaching in order to improve its taste, sesame oil pressed by our sesame oil production unit already possesses a pleasant taste and does not require further purification before it can be consumed. Many consumers prefer unrefined sesame oil due to their belief that the refining process removes important nutrients. Contact us in the following form if you prefer to know more information about our sesame oil production unit, we are ready to serve you at any time.